It's the Touch offers unique and inspired balloon decor for Weddings, Birthdays, Corporate Events, Festivals, Starting/ Finish race lines, Concerts, Nightclubs, Indoor and Outdoor Celebrations. We offer onsite consultations at your venue and or event location. 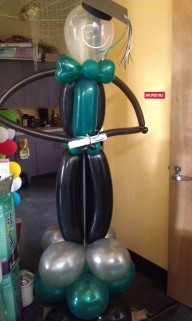 We pride ourselves on unique, high quality balloons for all events. Our balloons have decorated the city and we pride ourselves on delivering fabulous flights of fancy! 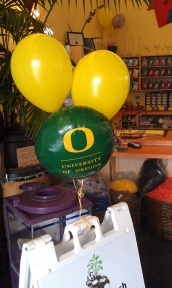 Our latex balloons are biodegradable, and decompose as fast as an oak leaf in your backyard. Latex balloons come from rubber trees. Latex is collected by cutting the tree’s bark, then catching the latex in a cup. Latex harvesting doesn’t hurt the tree. Latex balloons are Earth-friendly! Rubber trees grow in rain forests. Latex harvesting discourages deforestation because latex-producing trees are left intact. A tree can produce latex for up to 40 years.